Are creative campaigns more efffective in business terms? This UK report correlates the performance of specific campaigns in The Gunn Report, the industry ranking of creative awards winners and the business results of those campaigns that won UK IPA effectiveness awards, equivalent to IAPI ADFX Awards. 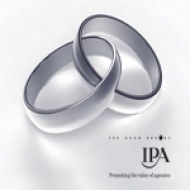 It analyses 435 IPA case studies over 16 years to demonstrate the link between praised creative work and effectiveness. Overall, creatively-awarded campaigns are 11 times more efficient than non-awarded ones at driving market share growth. The greater the level of creativity (that is, the more major creative awards a campaign wins) the greater the level of effectiveness.